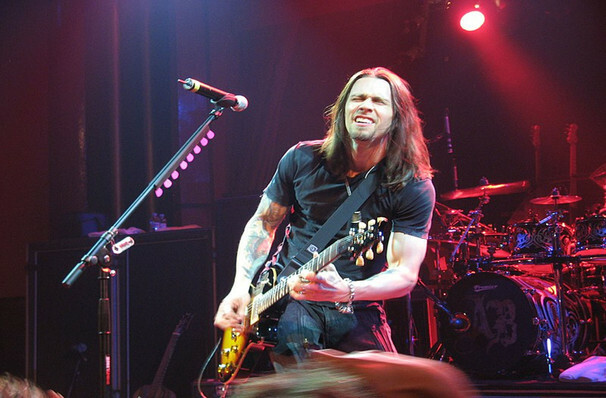 Singer, songwriter and musician Myles Kennedy is well known for his stints in various rock bands including Alter Bridge, Slash and Cosmic Dust. However, earlier this year Myles released his debut solo album, Year of the Tiger ahead of his country wide tour which kicks off in November. Born in Massachusetts, Myles first embarked on his music journey in 1990 where he played the lead guitar in band Cosmic Dust. Since then, the musician has worked with a range of bands before releasing his critically acclaimed solo album in March of this year. The album, which delves into the 1974 death of his father sees the musician play bass, guitar, the banjo and the mandolin. Seen Myles Kennedy? Loved it? Hated it? Sound good to you? 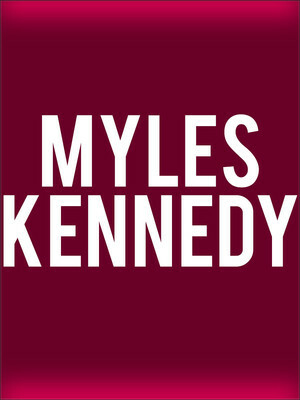 Share this page on social media and let your friends know about Myles Kennedy at Center Stage Theater. Please note: The term Center Stage Theater and/or Myles Kennedy as well as all associated graphics, logos, and/or other trademarks, tradenames or copyrights are the property of the Center Stage Theater and/or Myles Kennedy and are used herein for factual descriptive purposes only. We are in no way associated with or authorized by the Center Stage Theater and/or Myles Kennedy and neither that entity nor any of its affiliates have licensed or endorsed us to sell tickets, goods and or services in conjunction with their events.